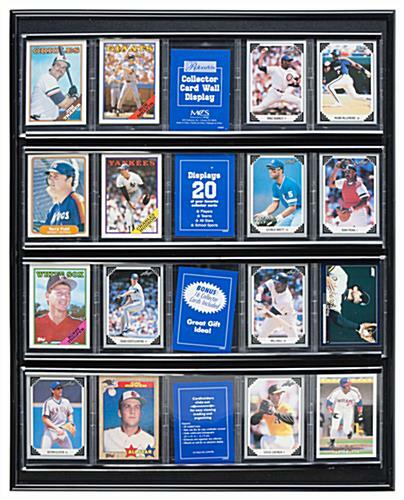 This Baseball Card Display Cabinet Is Perfect For Any Trading Or Game Cards! 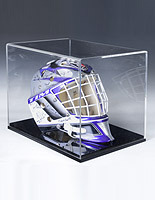 This Black Finish Fixture Makes A Great Hockey, Movie Or Football Case Too! 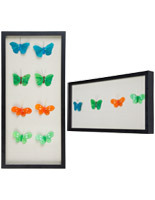 Black wall-mount frame has (20) holders for collectible cards. 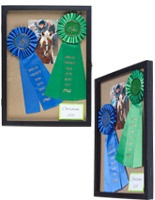 Clear protective pockets are 3" w x 4-1/4" h.
Collector display fixture ships with (16) trading cards included! 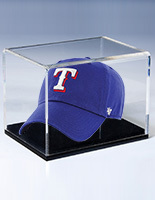 This baseball card display cabinet comes with mounting hooks that will safely mount the (20) pocket memorabilia holder on walls. 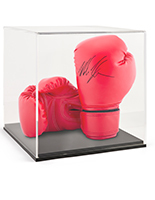 This black-finish storage case is a superior choice for displaying collectible sports or trading cards, game cards, ticket stubs or other small collectibles. 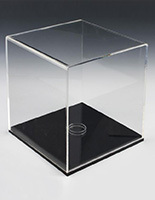 This acrylic football case, 20-section baseball card display cabinet features flexible sides that allow the contents to be easily rearranged when removed. 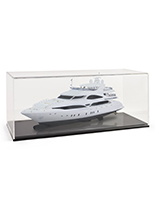 This wall-mount rack is specifically designed with 3x4-1/4 clear acrylic pockets sized to hold bubble-gum cards, movie tie-in collectible cards and more. 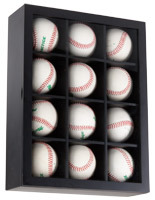 This stylish baseball card display cabinet, also known as a collector's box, is ideal for home or office use as a showcase for storage or decoration or even retail display. 16.3" x 20.3" x 0.75"